Following a tsunami of bad news for electric car maker Fisker Automotive earlier this year, the company has been silent in recent months, as it’s been figuring out what will happen to it: will it be acquired, will it sell off its assets, will it declare bankruptcy? Well, according to Reuters, a group of investors that includes former General Motors exec Bob Lutz and Chinese auto tech company Wanxiang are offering to buy Fisker for $20 million in a prepackaged bankruptcy deal. If Fisker is bought for $20 million that would mean the company would be bought for less than 1 percent of its reported $2.2 billion valuation when it launched the Karma in the late summer of 2011. Twenty million dollars is not quite two percent of the total funding ($1.2 billion) that Fisker raised. Fisker also owes the U.S. government another $171 million to pay back its loan. That’s got to be one of the biggest losses in venture capital history. Earlier this year there were media reports that Fisker was being bids for between $200 million to $350 million from different Chinese auto companies. But either those reports put the bidding high (if so, I would speculate they were leaked by Fisker to help with bidding), something changed in the valuation of Fisker (it plummeted), or the bidders realized a lower valuation of Fisker after looking under the hood. In a similar end game, solar thin film company Miasole was sold for $30 million to Chinese renewable power company Hanergy, after raising at least $500 million in venture capital funding. 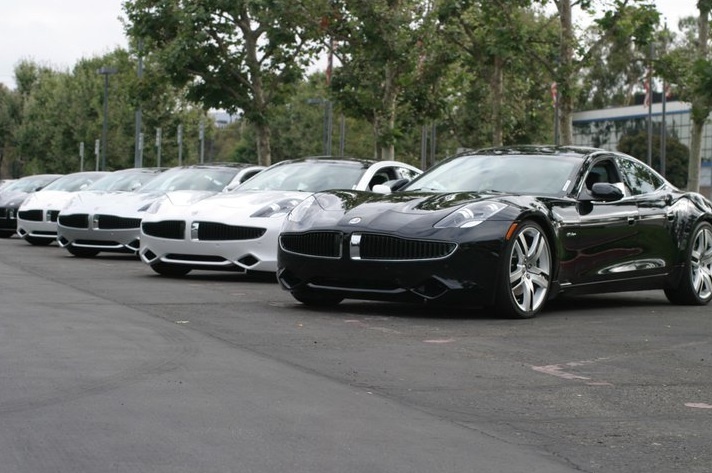 Both Miasole and Fisker were backed by Valley firm Kleiner Perkins. Fisker’s potential bidders include VL Automotive, which is a joint venture between Lutz and Gilbert Villarreal. VL Automotive wants to turn the Fisker Karma into an internal combustion engine car, stripping out the electric drivetrain and giving it an engine. Read my long investigative story on Fisker: A look under the hood: why electric car startup Fisker crashed and burned. I read somewhere that, unlike Tesla, they have no IP. Fisker was essentially a car design company that purchased all its electrical components from other vendors. Wonder if they have $20M of IP that a company like Tesla would be interested in.